Concrete GPR equipment is used to find common objects and other subsurface hazards that are hidden in the concrete, such as Post Tension Cables, Conduit, Rebar and Voids. How does Concrete GPR work? Radio waves are directed into the concrete using a transmitting antenna at a certain frequency. Since radio waves are a form of electromagnetic energy, this energy bounces off of buried objects such as rebar, post tension cables, pipes and conduits and are then captured by a receiver in the same antenna. The GSSI SIR 3000 is the industry’s number one choice for data accuracy and versatility in ground penetrating radar scanning. With a 1600mhz antenna we can accurately locate these embedments up to 24” in concrete. Each Technician at Pro Scan Subsurface Imaging has been in the GPR field for over 7 years and only uses the most advanced machinery to give you the most accurate results for your concrete scanning needs. To make use of our services or view some of the past work we have done, please visit our website or contact our offices for amazing offers at the lowest prices. What is the difference between concrete GPR and x-ray? With x-ray imaging, you are prone to radiation and with GPR; there is absolutely no radiation involved. GPR cannot completely eliminate the risk of avoiding rebar, post tension cables, conduits or pipes before cutting, coring, or trenching but it can greatly reduce your chances. What variables can impact concrete scanning using GPR? The composition of the concrete structure being penetrated, such as the moisture content and density, the depth of the target, the different velocities of radar signals travelling through different types of materials, areas with strong electromagnetic signals as well as areas containing a complex assortment of objects. 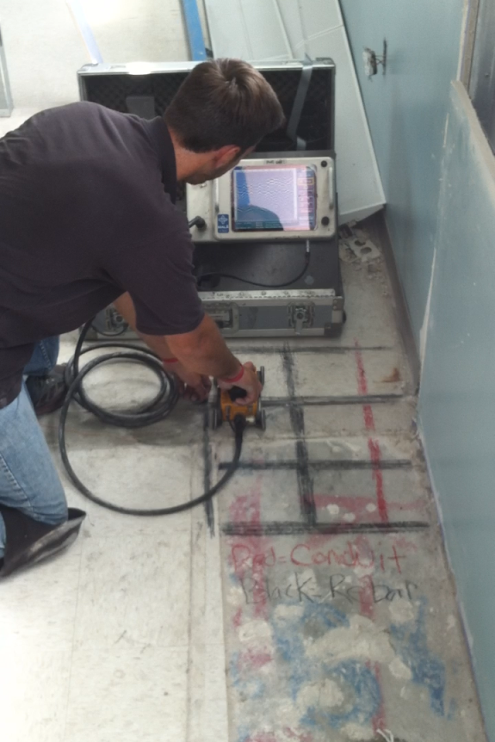 How deep does GPR scan in concrete? Depending on the ground conditions GPR has the ability to scan to approximately 0.7m deep.